Our mission is to “Raise the Bar” for Veteran Service in NH. 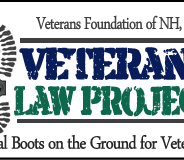 Since January 2015, Veterans Law Project-Legal Boots on the Ground (VLP) has addressed unmet legal needs for veterans and their families. Veterans are provided legal advice by the Director, staff attorney or paralegal, represented directly by the Legal Director or referred to VLP’s panel of well over 100 volunteer lawyers. Today’s most commonly addressed issues are housing and matters involving child support, custody and divorce. Many requests are in the area of criminal defense, specifically for veterans ineligible for public defenders or assigned counsel. Additionally, VLP addresses discharge upgrades for veterans with less than honorable discharges due to service-related PTSD or TBI and a variety of other legal issues. VLP represents veterans regardless of whether they are considered veterans by the VA.
Join us for the annual Seacoast Veterans Conference in Portsmouth and get valuable information and insights on what is available in service to NH vets. VFNH will be presenting the Veterans Law Project and sharing contact information for military families in need of legal support. Stop by our booth and say hello! The event is hosted by the Service Credit Union in Portsmouth. The home office for the Veterans Foundation of New Hampshire Inc. has closed. Previously, the Foundation has had the opportunity to utilize facilities provided by the Department New Hampshire VFW and VFW Post 1772 in Rochester. 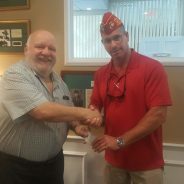 Recently the VFW Post 1772 closed it’s home. We are now located at 77 Central Street in Manchester.